It may seem unbelievable, but despite living in Melbourne for all of my adult life, I’ve never had a souvlaki from Stalactites. Sure, I’ve eaten there enough times, but ordering a souva for a sit-down meal has always seemed silly to me, so I usually end up getting one of the platters instead. Plus, I got a little bit mad at them the last time I went and they took the change from my payment without asking, so I haven’t been back since. 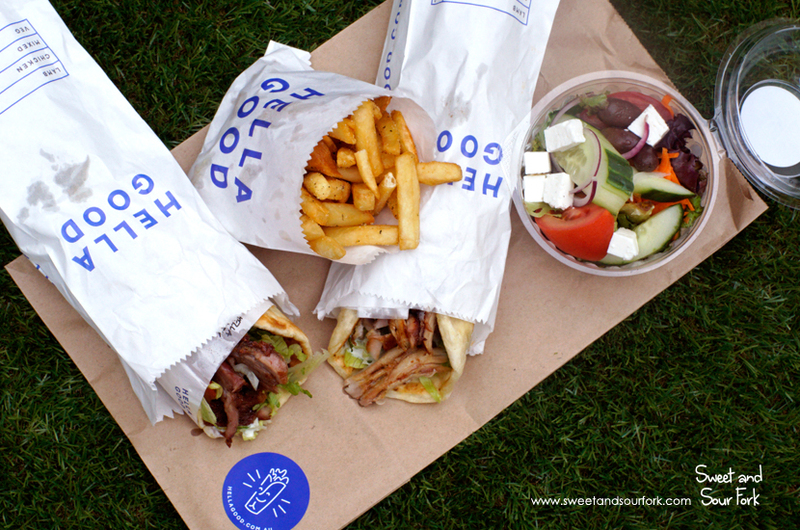 But when the Stalactites crew opened up Hella Good – a dedicated souvlaki shop – it seemed like time to bury the hatchet, and finally give the famous wrap a try. 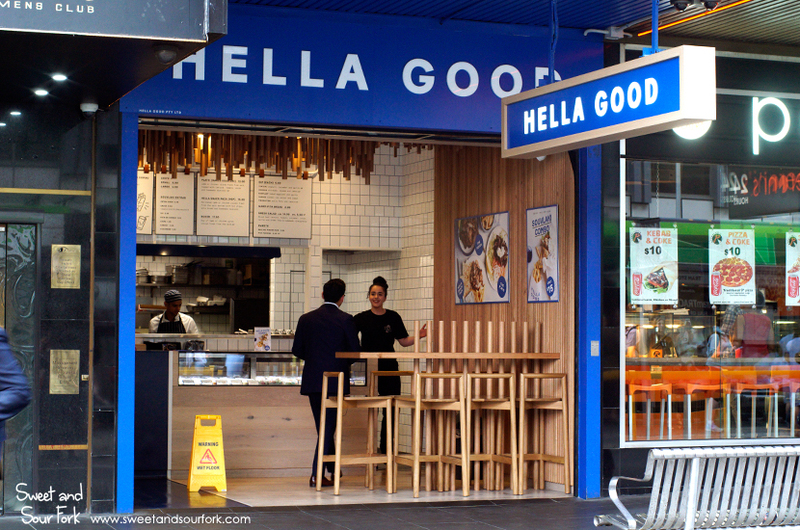 Hella Good sits right up at the top end of Elizabeth Street, next to the indomitable Pepperoni’s, where Chris and I have had many a date in the early days, where we couldn’t afford much more. Sit down space in the small shopfront is minimal, so it was just as well that a pop-up garden had opened nearby, where we could make a picnic of our meal. The souvlakis are, of course, the main act. They stick to the classics here, with only 4 options on the menu – chicken, lamb, mixed, and a vegetarian option thrown in for good measure. 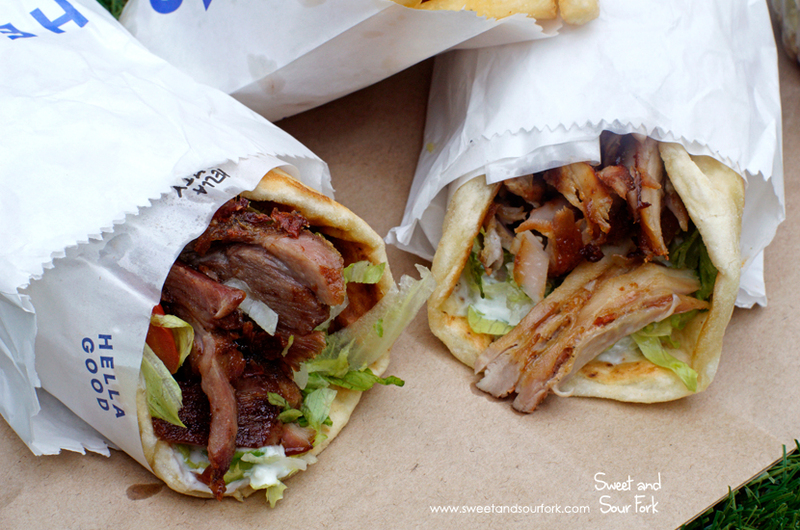 The lamb souvlaki was called the Arnie ($11), which frankly was fairly disappointing. Although the salad was fresh, the lamb was dry and bland, and the pita bread had nothing on the pillowy goodness found at Jimmy Grants. The Kotter ($11) fared a lot better, swapping the subpar lamb for juicy pieces of herbed chicken, and was much more satisfying as a result. 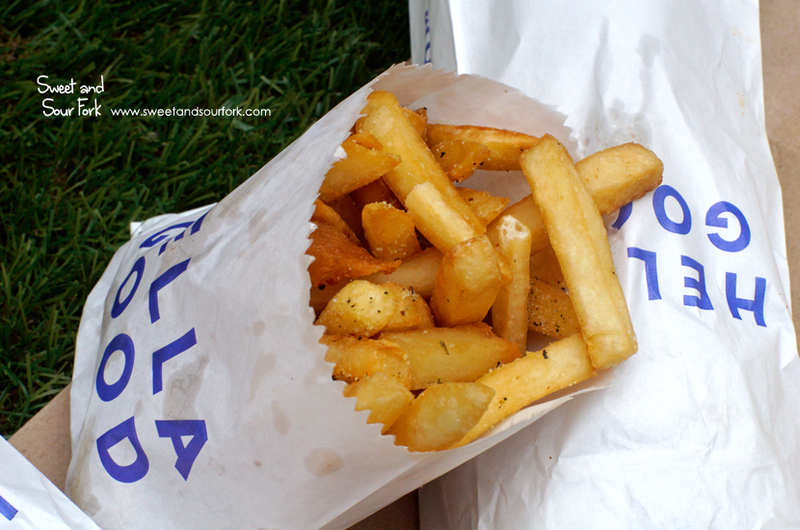 For an extra $4, we made one of the souvlakis a meal, which included the addition of a drink and Small Chips ($3). Now these were hella good indeed. Crisp and fluffy, they were covered with a generous amount of lemon-herb salt that was vociferous competition for the chip shop classic of chicken salt. 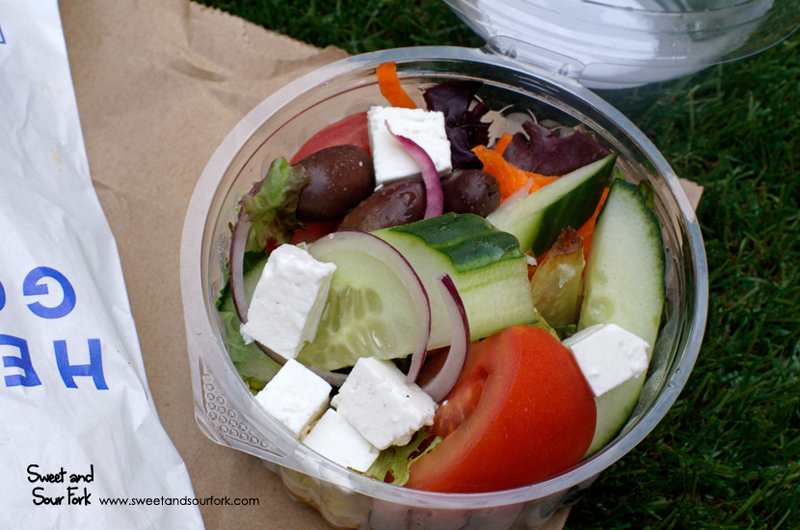 Out of obligation, I also got a serve of Greek Salad ($5, small). This got the job done, though I wasn’t sure about the addition of mixed salad leaves, and the feta was rather rubbery. Rating: 12.5/20 – hella ok.